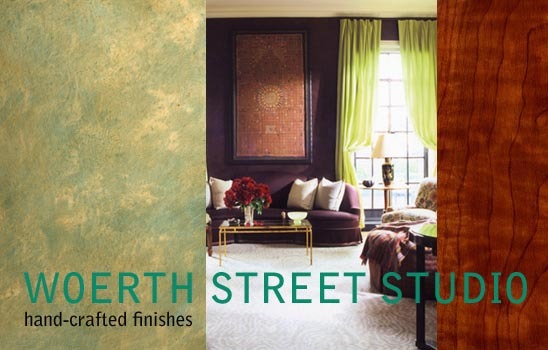 The strié developed as an offshoot of painting techniques used to create faux wood grained finishes. 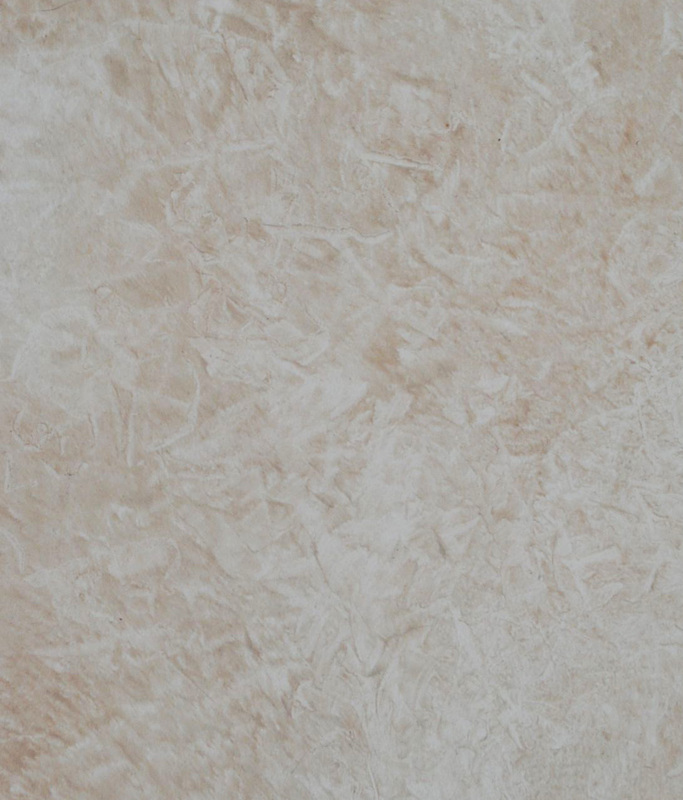 As a traditional technique, a strié is most often used in traditional settings, although it works to beautiful effect in modern rooms as well, lending a warmth to the walls. Below is a kitchen/dining room/lounge I glazed recently with a wall strié in raw umber over a light grey base coat. By the way, that gorgeous floor is tile. A strié is created by dragging a brush vertically through wet glaze to create linear or graphic patterns. 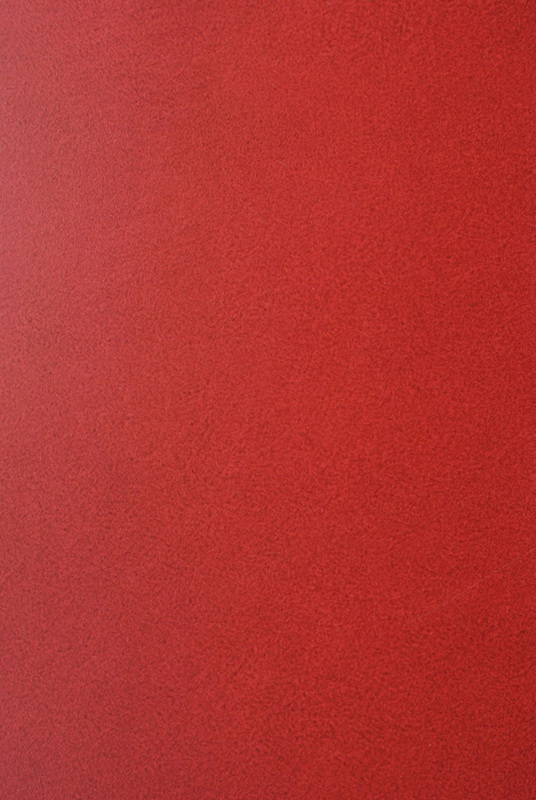 It’s painted most often on walls, woodwork and doors. The tool used, pressure and angle can create a variety of patterns, but the goal is usually soft stripes. Like many glazed finishes, it takes two people. The first person, starting at the left side of the wall and using a 9-inch wide roller, applies the glaze to the wall from the crown molding to the base board in a band about 12 inches wide. 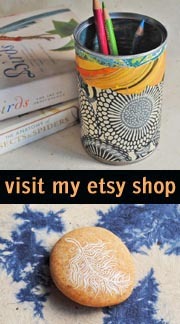 The second person then drags the brush vertically through the glaze several times to develop the pattern. At the same time, the first person continues to apply the next band, slightly overlapping the first. In this way, we make our way horizontally across the wall to the right side, applying and removing the glaze in vertical bands. Yes, it’s a good workout! This is an example of a soft strié. The key to a successful strié is twofold: choosing colors that play off one another, and using the appropriate tool for the desired effect. Because glaze is transparent, the base coat is an integral part of the final look. Sometimes a cool color is used for the base and a warm shade for the glaze (as in the room pictured above), creating a subtle interplay of colors. 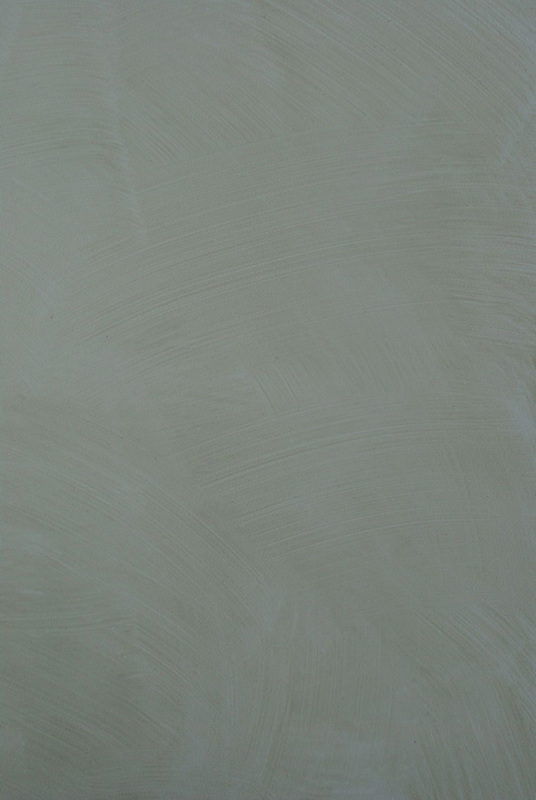 Or the base coat might be one or two shades lighter than the glaze, resulting in a soft, subtle finish. 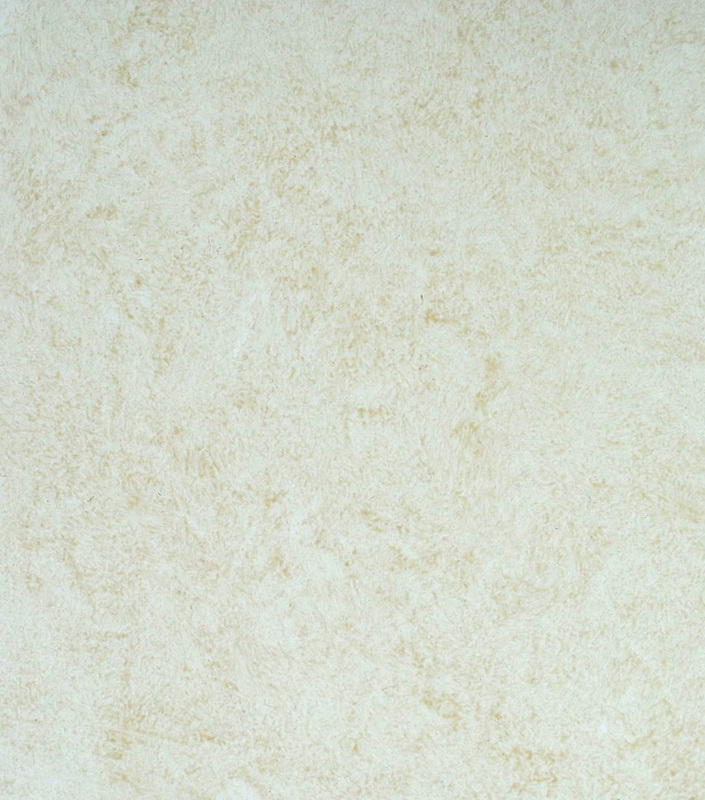 By varying the colors and technique, the resulting finish can be dramatic or almost invisible. Below is a strong strié. The nature of the dragged line depends on the brush and pressure used and how it’s held relative to the surface. A soft-bristled brush held perpendicular to the surface and dragged with gentle pressure will yield a much softer look than a coarse-bristled brush held parallel to the surface and dragged with strong pressure. By considering these factors, an experienced artist can create a multitude of looks. Here are some of the tools, which will be explained as we continue. At the top, a 6-inch wide soft-bristled brush is next to a 3-inch wide coarse-bristled brush, with a steel wool pad between them. Below lie q-tips and small pieces of torn index cards. An especially pretty look is a basket weave. Here, a vertical strié is glazed and allowed to dry overnight before a horizontal strié in the same color is applied on top. To create a rustic look, steel wool is dragged after the brush has made its pass. This technique is often used on woodwork. 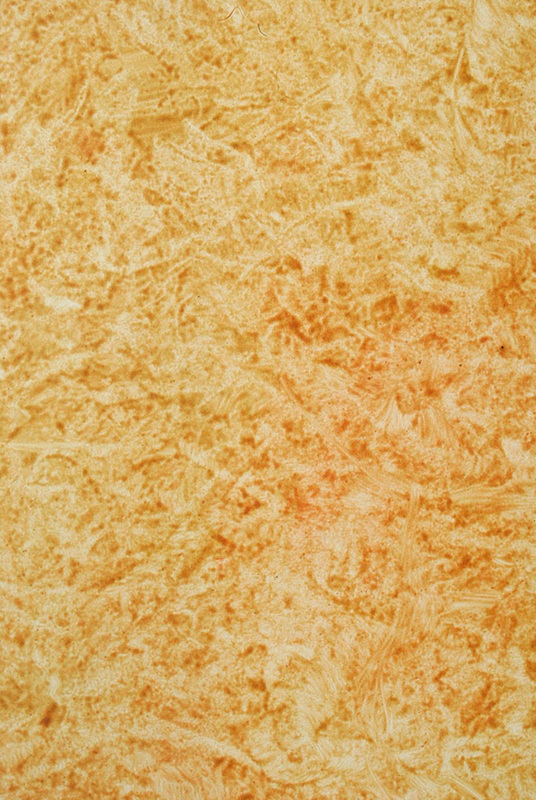 As I mentioned, strié techniques are used in faux wood graining. 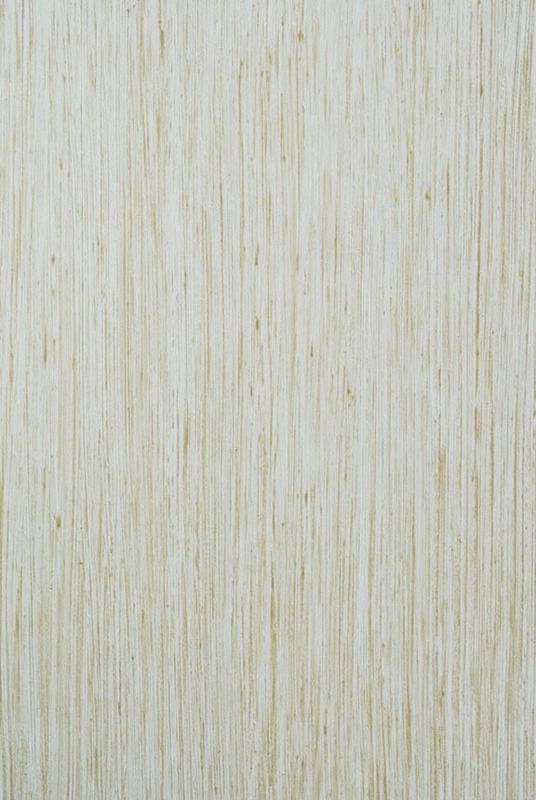 In this example, you can see that a strié layer has been incorporated into the multi-layered wood finish. 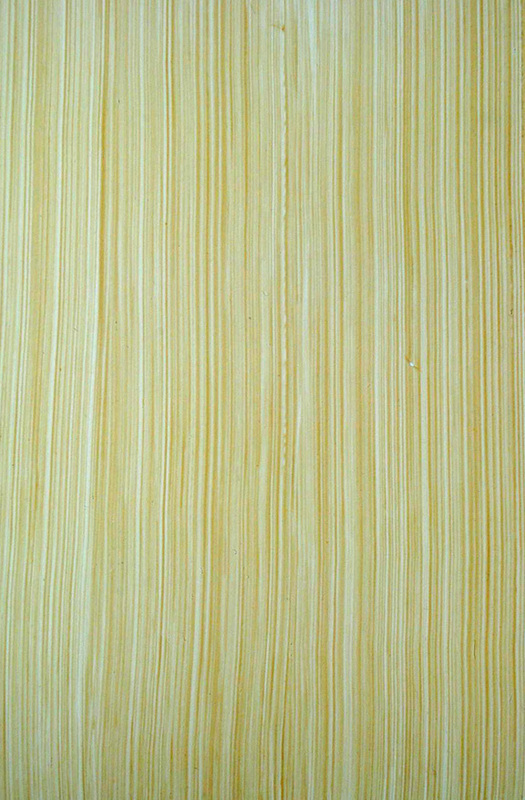 In this painted sample of Zebrawood, the glaze was applied, removed as a strié, then further removed using q-tips. 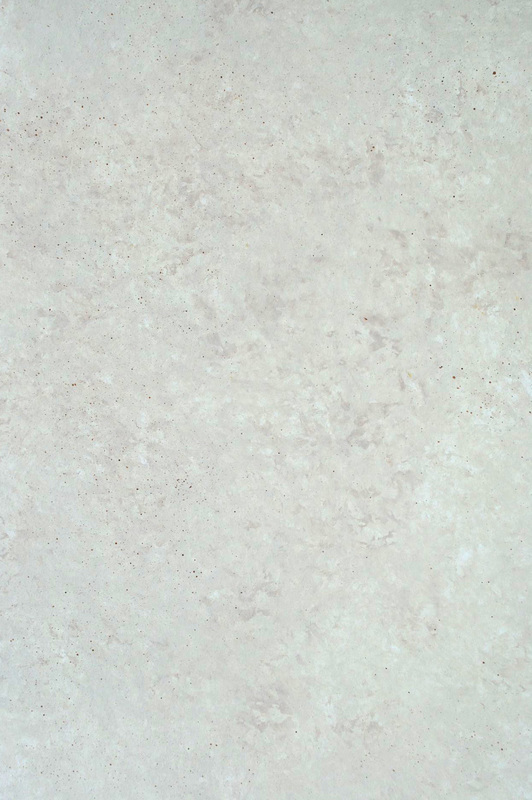 Strié can also be used when painting stone. 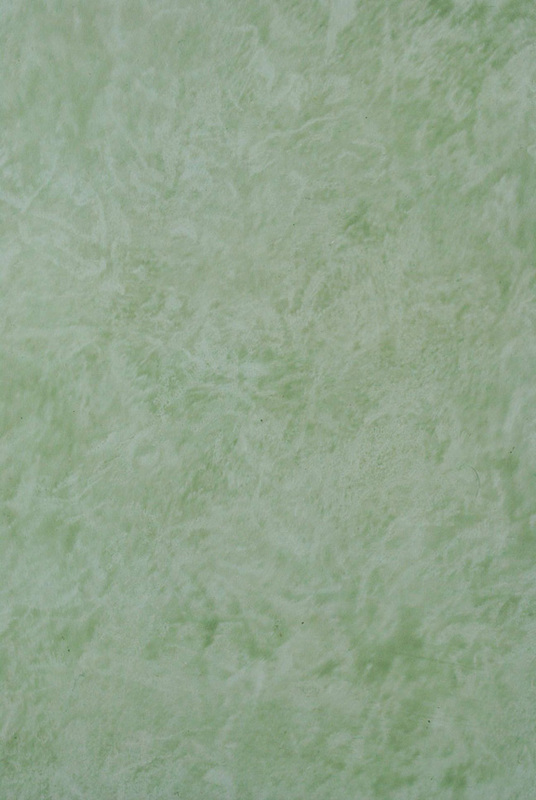 The example below is a fantasy stone based on the patterns found in malachite. It starts out as a strié, which you can see in its fine lines. Then the surface is dragged with a small torn piece of an index card, held perpendicular to the surface and slightly jiggled, to pull out larger areas of glaze, create greater contrast and mimic malachite. I developed this fantasy malachite for a clothing store, where we painted it in panels as a strong decorative element. The striés above are soft striés, created freehand, mainly with brushes. Another type of strié is a graphic strié, created by dragging hard-edged tools, such as rubber and steel combs, with the use of a guide stick. Graphic striés can be designed in all sorts of pretty patterns and present a whole new set of challenges. I’ll save that post for another day!